IOICORP is forming forming ascending triangle. 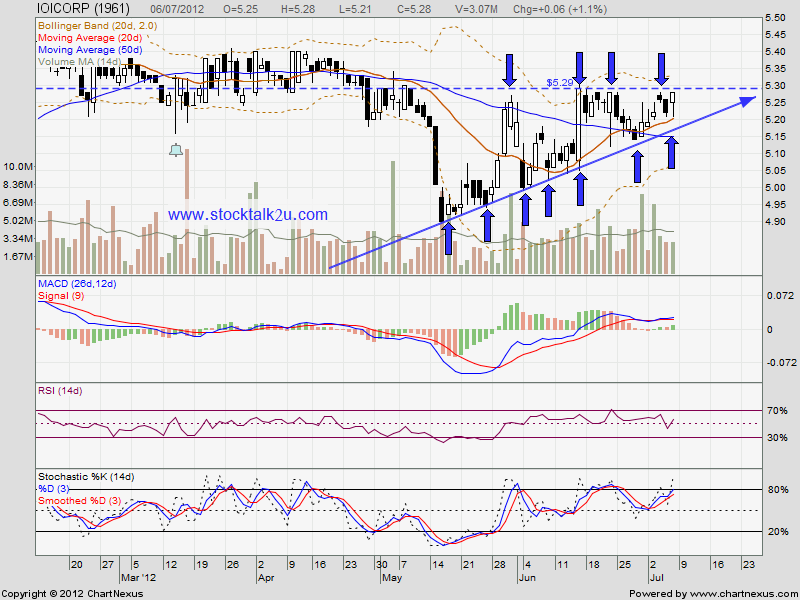 Will it break through RM5.29 resistance level? If the bull strong enough, it might break through. 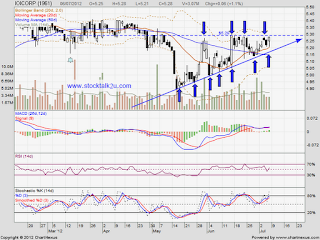 Else, it might retest lower triangle support level.